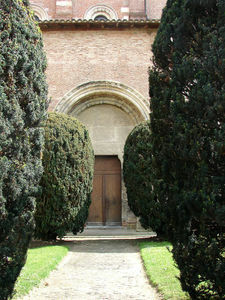 The shrine is placed under the term Sernin, or Saturnin, and was built on the site of his tomb. 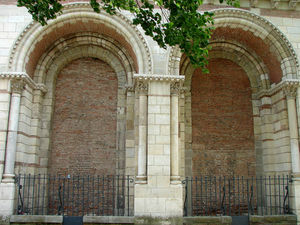 At the outset, this was an oratory built under the leadership of the first bishop of Toulouse, Hilaire, who draw up an oratory to honour the memory of his predecessor. In the fifth century, under the exceptional popularity of sanctuary and the devotion of the faithful to the memory of the martyr, bishops Sylve and Exupère did build a small church. Leftover Saturnin were placed in a marble sarcophagus inside the church. This was the first time that a community of monks moved to this location. 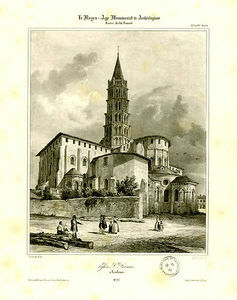 The abbot often objected to the bishop of Toulouse, whose cathedral Saint-Etienne had much less radiation than Saint-Sernin. The community grows and an abbey was built around the church, governed by the rules of St. Augustine. The growth of de Compostela pilgrimage, making Toulouse a mandatory step of the Tholosqua or via Arelatensis increase the number of visitors. This added many relics whose reputation drew early crowds considerable. The church became too small, the construction of the current basilica, most important, was decided at the end of the eleventh century. 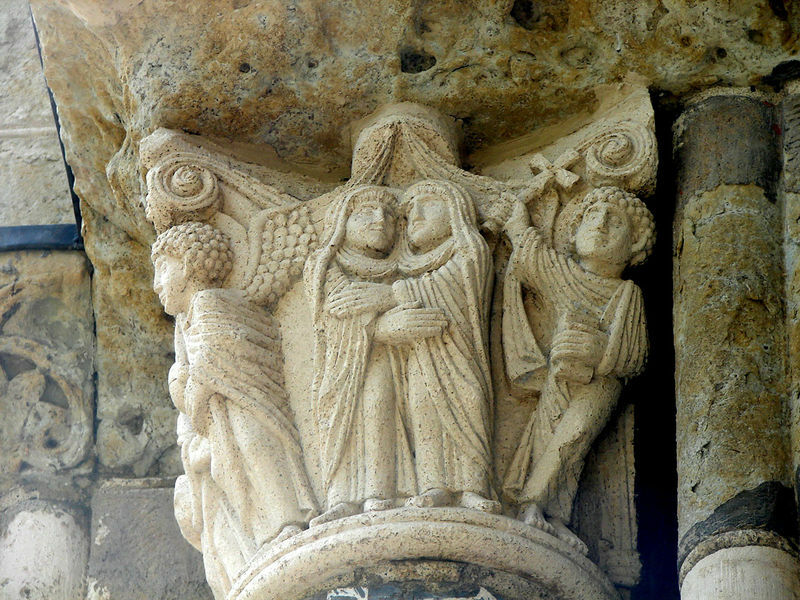 It began under the auspices of architect Raymond Gayrard by the bedside, in 1080, above the chapel. You can still visit today the primitive church, which acts as a crypt. 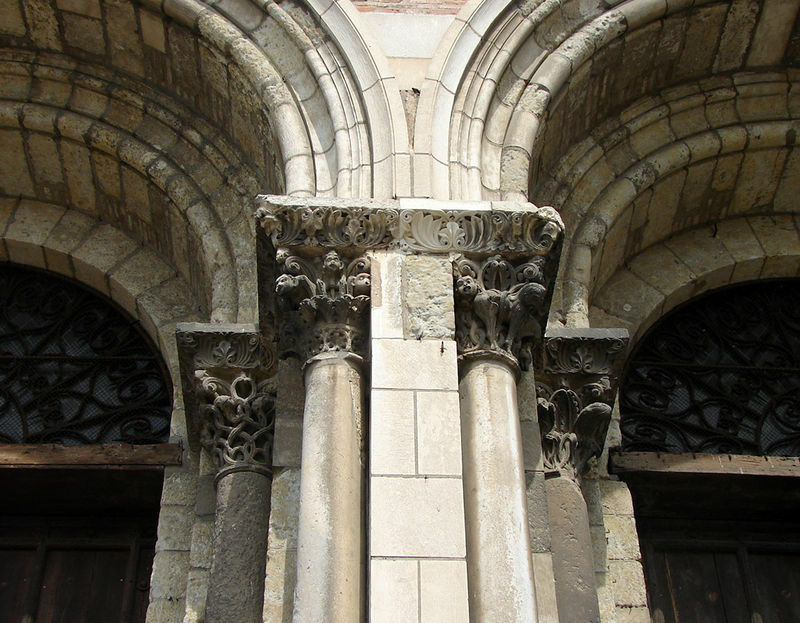 Sixteen years after the start of construction in 1096, Pope Urban II consecrated the altar carved by Bernard Gilduin. The completion of the transept and part of the nave is effective in 1180. The builders used primarily stone and brick up to the podium. But the high cost of the material forced to use only the brick in the upper parts of the building. 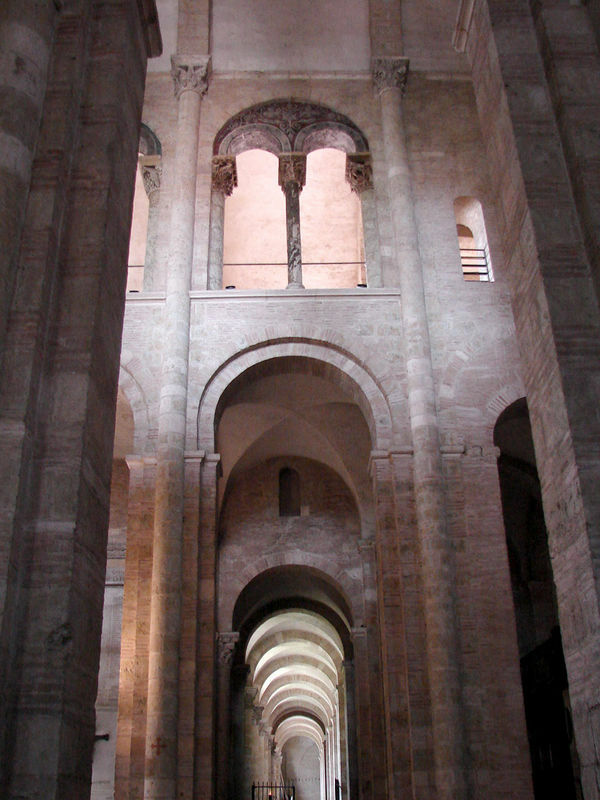 It is in the Basilica of Saint-Sernin came as the first Gothic french experimentation. A beautiful cloister and an important flanquaient abbey north of the basilica. Then the work dragged in length with structural changes until the XIV and even the sixteenth century to certain elements. 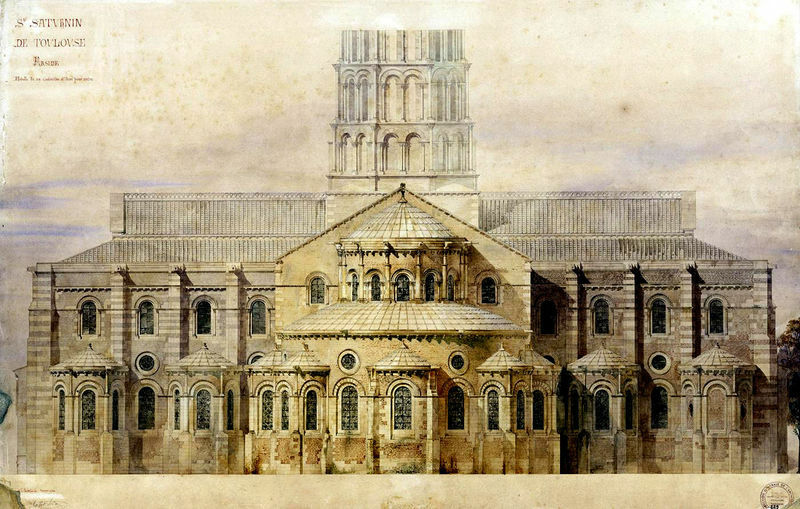 The western towers were never completed. During the Revolution, the chapter of Saint-Sernin was deleted. But the basilica was neither changed nor sacked. 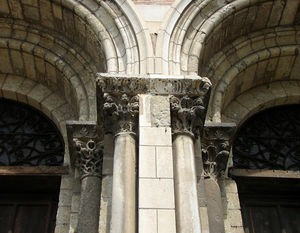 A restoration is ordered in the nineteenth century, carried out by Alexandre of Mège. 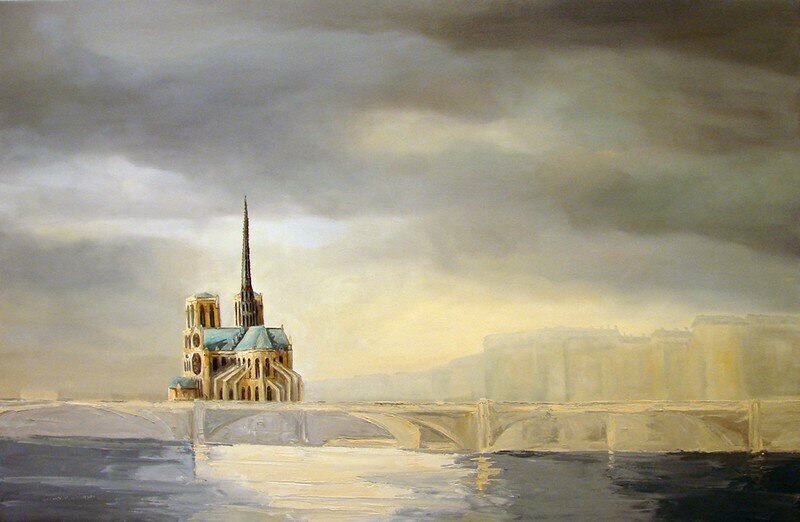 But the result is poor and the restoration is pursued by Viollet-le-Duc. It restores then staging roofs and sides of the nave, which was abolished in the fourteenth century. 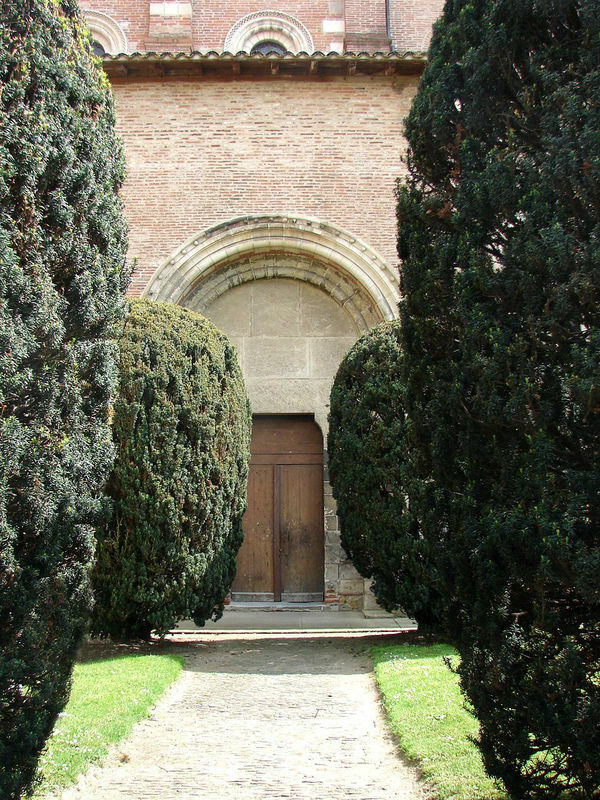 After the Revolution and the abandonment of buildings of the abbey, it was decided to clear the basilica and to make available its square and its various doors. This project will be implemented until the early nineteenth century. 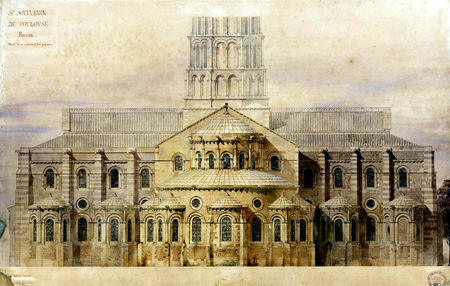 From 1804 to 1808, the cloister of the former abbey was dismantled. Some tents were preserved and are now visible to the Augustins museum. 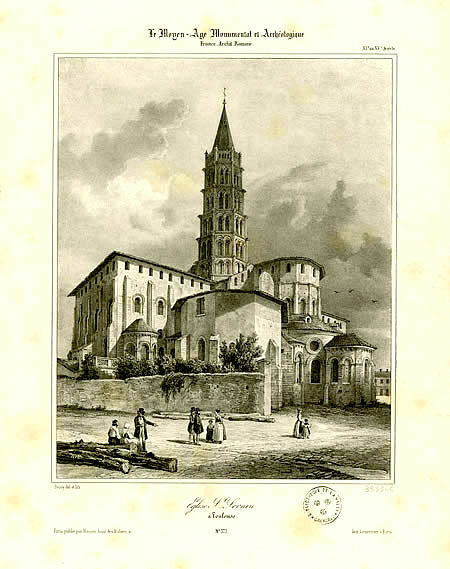 Then, through expropriation and acquisitions, buildings are destroyed and buildings around the church led by Jacques-Pascal Virebent to form an elliptical. 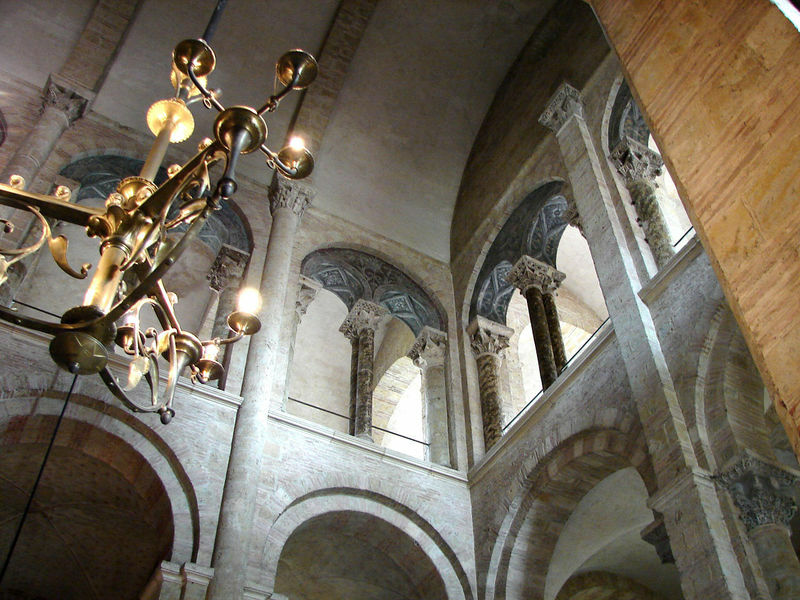 It only remains that the Saint-Raymond museum , a former buildings of the abbey. 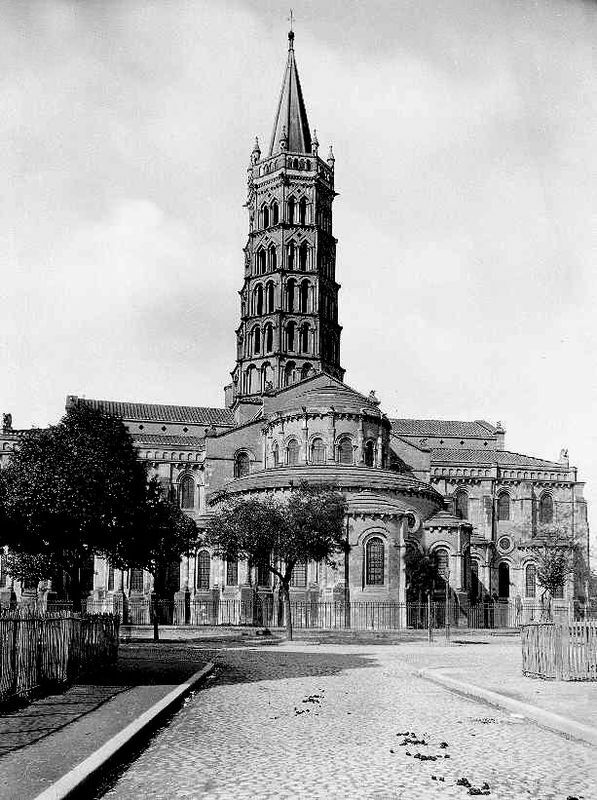 Saint-Sernin remained merely a collegiate church until 1878, when it was finally consecrated basilica. At the end of the twentieth century, a new restaurant has removed the staging of Viollet-le-Duc and replace it with the state of the XIV century. Today, it is the largest Roman church kept in Europe. The building still has 260 tents novels and numerous frescoes. It keeps a perfect consistency, since manufacturers successive respected the original draft well beyond the Roman period. 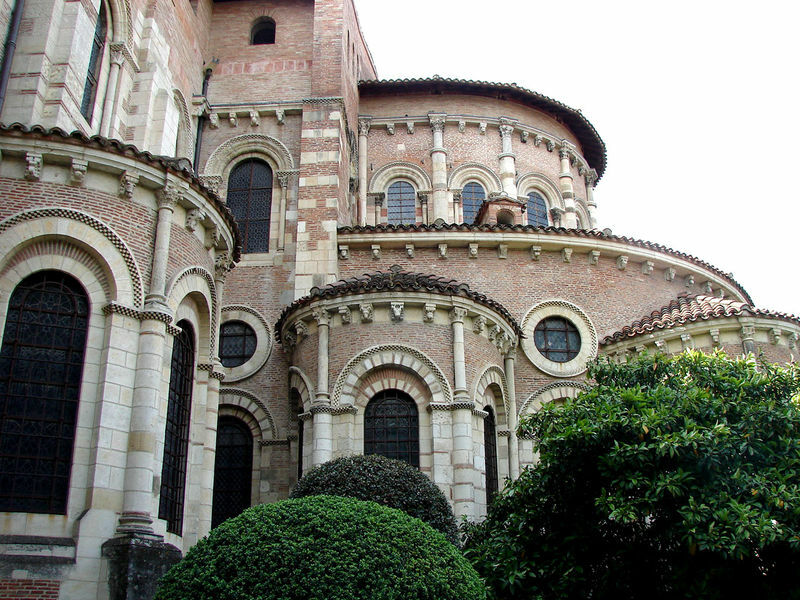 By its structure, Saint Sernin belongs to the family of churches known as "relics and pilgrimages" vast nave flanked by collateral, large transept highlight, choir deep surrounded by an ambulatory with radiating chapels.